Adam Clark Vroman’s major contribution to photography was in his ability to utilize the wide range of dramatic tones available in platinum prints. With a straightforward style, and dramatic black and white printing of cloud and shadow, Vroman in the late 1890s, created the visual vocabulary used 30 years later in modernist sculptural landscapes of Edward Weston and Paul Strand. Adam Clark Vroman, born in Illinois, in 1856, left home at the age of 16, and worked in various capacities for the Chicago, Burlington and Quincy Railroad until 1893 when he moved permanently to Pasadena. In 1892, Vroman began experimenting with 5 x 7” camera. Shortly after he sold his rare book collection and with the proceeds opened a store selling books, stationary, cameras and photography supplies. Pasadena at the time was a center for artists, writers and intellectuals, including Charles Lummis, Frederick Webb Hodge of the Bureau of American Ethnology (BAE), and a number of photographers. Primary Among the interests of this Arroyo Culture were preserving Spanish and Native culture, arts, crafts and traditions in the Southwest, and promoting associated tourism. By 1895 Vroman was an accomplished photographer, and with a group of other amateur photographers would travel on outings, experiment with different cameras, film, paper and photochemistry. In this same year he traveled to the four corners area of the Southwest on the first of eight photographic expeditions over the next 10 years. He used multiple cameras with formats ranging from roll film up to 8.5 x 6.5. Vroman did not sell or exhibit. A successful businessman, (as of 2005, Vroman’s Bookstore is operating in Pasadena) he made and gave handmade platinum print souvenir presentation albums and groups of silver prints for use by traveling companions, Indian subjects of his photographs, writers, ethnologists and others with similar interests in the Southwest. Vroman’s last tour of the Southwest was in 1904, and then his interests turned toward Japan and collecting Netsuke, much as he collected rare books and Indian arts and crafts. Education and/or experience: Self-taught and member of amateur photographic group, whose members experimented with a variety of papers and processes. Rare book collector, owner of major bookstore and photo supply shop in Pasadena. Professional/Noteworthy Accomplishments: He participated in three scientific/ethnographic expeditions. First in 1897, joining up with Frederick Webb Hodge of the BAE to document the first ascension by scientists to the top of Enchanted Mesa, near Acoma Pueblo. In 1899, Hodge asked Vroman to be the official photographer of an expedition to scientifically document through photography the people and architecture of the Pueblo Indians. In 1901 he was the official photographer in the Southwest outing of the Museum-Gates Expedition, led by Peter Goddard Gates. Work: During his golden years from 1895-1904 Vroman made landscape/cloudscape views of the desert Southwest, architectural views of historic Spanish California and New Mexico Missions, archeological ruins in the four corners area, views of inhabited Native American villages and dwellings, and portraits of his traveling parties and of Southwestern Indians (Hopi, Navajo, Apache, Pueblo), ethnographic views of Indian ceremonies, notably the Hopi Snake and Antelope dances, and genre scenes of Indian activities. He also made views in rural Illinois, Pennsylvania, the Library of Congress, Yosemite and the environs of Pasadena during this time. 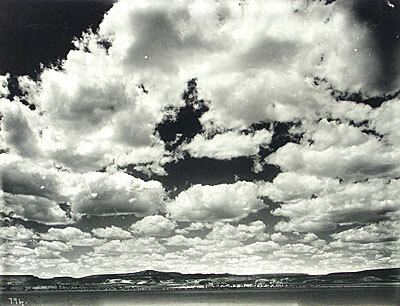 In the late 1900s he made dull photographs In Japan and the Canadian Rocky Mountains. Media: Dry plate negatives and roll film. finest platinum prints made between 1895 and 1905. Platinum, mercury toned platinum, gold toned collodion matte and glossy prints, silver gelatin prints contact printed. Made copy negatives for Hodge (now at the Autry National Center).